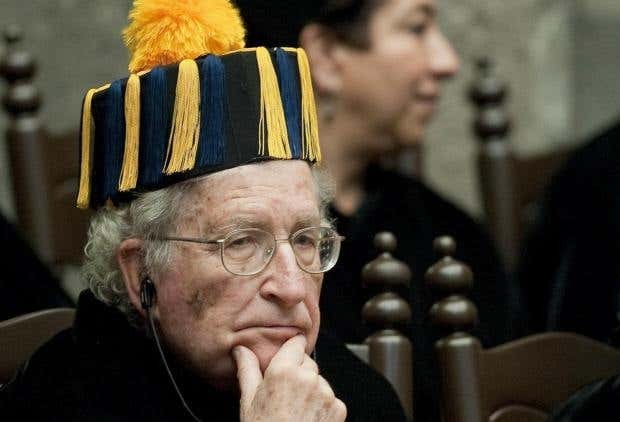 Back in April 2010, Noam Chomsky offered a dark vision of America’s future that was easily dismissed. Today, as America votes Donald Trump President-elect, it has turned out to be painfully accurate. The philosopher, historian and activist warned of the success a “charismatic figure” would have if one ran for office promising to cure society’s ills, and listed elements of their campaign that would take them to power. The similarities to Trump are manifold and clear, from military force being exalted (Trump consistently heaps praise on the army and secret service) to the scapegoating of illegal immigrants (Trump has vowed to eject them from the country and build a wall between the US and Mexico). Chomsky added that he had “never seen anything like this in my lifetime [and] I am old enough to remember the 1930s. Trump defied the polls to win the election after sweeping a number of swing states. At the time of writing, Democratic candidate Hillary Clinton has acknowledged her defeat but has yet to give a concession speech. Reality TV star Trump appeared before supporters in the early hours of Wednesday morning, vowing to “bind the wounds” after a toxic campaign. “Thank you everybody. Sorry to have kept you waiting, it’s a complicated business,” Trump said, who looked as surprised as anyone.